Nothing is better than toasty warm floors throughout your home. No more getting up to cold wood and tile floors, thanks to radiant heat. Having radiant floor heating installed in your home is a great way to provide year-round comfort in your home. Having radiant floor heating installed in your home is a great way to provide year-round comfort in your home. In-floor heating has many benefits on top of making your home incredibly comfortable. Radiant floor heating is incredibly quiet so you no longer have to hear your heating system kicking in. 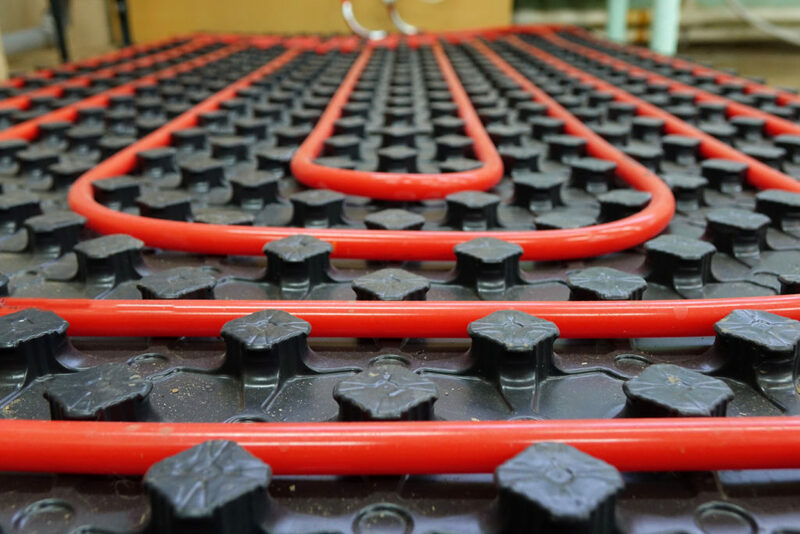 A radiant heating system also has no visible radiators, ducts, or holes. Another huge benefit to radiant heat is the fact that it is affordable and can provide your home with increased energy efficiency. Wisconsin winters are incredibly cold, and a radiant heating system can help keep you warm. We have lots of experience installing in-floor heating, and can do so at an affordable cost. Call (608) 271-7071 or email to schedule your free estimate today.